Indian Railways is one of the world’s largest railway network consists of freight, passengers, tourist, Suburban rail systems, toy train and luxury trains. IR has 4,337 operating railway stations, operates on a multi-gauge network of broad, metre and narrow gauges. Indian Railways is divided into 16 zones and Locomotives are consist of electric and diesel locomotives. Indian Railways is the largest rail network in Asia and the world’s second largest. The First train on Indian soil ran between Bombay and Thane on the 16th of April 1853. The New Delhi Railway Station has secured a place in the Guinness Book of Records for having the world’s largest Route Relay Interlocking System. Indian Railways transports almost 2.5 crore passengers daily. 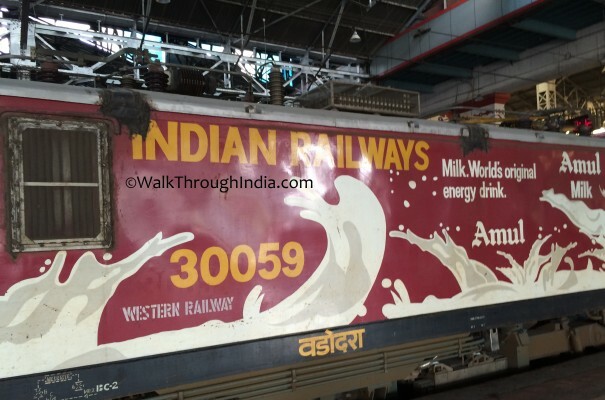 Indian Railways is one of the world’s largest employers with over 1.4 million people. Bhopal Shatabdi Express is the fastest train in India,operates between New Delhi and Bhopal Junction. Dibrugarh Kanyakumari Vivek Express the longest train route in the Indian Subcontinent. Venkatanarasimharajuvaripeta railway station has the longest name among all stations on the Indian Railway system. The Rajdhani Express trains get the highest priority on the Indian railway network. Gorakhpur Junction railway station has the world’s longest railway platform with length of 1,366.33 m.
The Slowest train in India is the Metupalayam Ooty Nilgiri passenger train. Kolkata Metro zone of Indian Railways will run 1,500 ft underwater metro in India under the Hooghly River between Mahakaran and Howrah station. The Fairy Queen between New Delhi and Alwar in Rajasthan is the oldest functioning steam engine in the world. Trivandrum HNizamuddin Rajdhani Express covers a distance of 528 km without a single stop. Nilgiri Mountain Railway a single track and only rack and pinion rail system operates in India. Chhatrapati Shivaji Terminus is considered to be the most beautiful train station in India. The Maharaja Express is the most expensive luxury train in India. Howrah is the busiest railway station in the nation train frequency of 974. Chenab Bridge will be world’s tallest railway bridge under construction in Jammu and Kashmir. Vembanad Rail Bridge of Kerala is the longest rail bridge in India with the total length of 4.62 km. Pir Panjal Railway Tunnel is India’s longest railway tunnel with length of 11.215 km in middle Himalayas. Ib Railway station of Odisha has the shortest name of all stations on the Indian Railways system. Konkan Railway Train Route is the most beautiful train route of Indian Railways. The Kashmir Railway is the most difficult railway line project of Indian Railways. Mumbai Suburban railway is the oldest railway system of Asia. The Delhi Metro is India’s first modern metro and facilities with most advanced technologies. Calcutta Metro is the first underground metro railway system in India. The New Delhi Railway Station has the world’s largest Route Relay Interlocking System. Ernakulam HNizamudin Duronto is the longest running Duronto express in Indian Railways. Loco-pilots are paid more than an average software engineer in India. If the tracks of Indian railways were to be laid out, they would circle the earth almost 1.5 times. Indian Railways is a massively successful organization running 11,000 train in a day. Mathura junction has the maximum number of routes emerging from it. The Diamond crossing in Nagpur is one-of-its-kind in India, from where trains go East, West, North and South. Howrah-Amritsar Express has 115 stops, the record maximum for an Express train. The Guwahati Thiruvananthapuram Express holds the record for being the most unreliable long-distance train on the Indian Railways network. The IRCTC (Indian Railways Catering & Tourism Corporation) website gets close to 12 lakh hits per minute. The Railway station of Navapur is built in 2 states; one half of it is in Maharashtra and the other half is in Gujarat. Train services between Nagpur and Ajni, situated just 3km apart, form the shortest route. The Trains got toilets after Indian Railways completed about 50 years. Indian Railways launched an awareness campaign train on World AIDS Day, December 1, 2007, called the Red Ribbon Express. Indian Railways has 16 zones over a route of 65,808 km with 7,112 stations. The Famed Darjeeling toy train, which is still running on its indigenous steam engine, was built by India’s British colonial master in 1881. World Heritage sites 4 Indian Railways sites and 5 Mountain Railways. Samjhuata Express was first international border train in India. Red Ribbon Express is an AIDS/HIV awareness campaign train by the Indian Railways, launched in India on World AIDS Day, December 1, 2007. Ahmedabad Mumbai Central Double Decker Express is India’s first double Decker train.